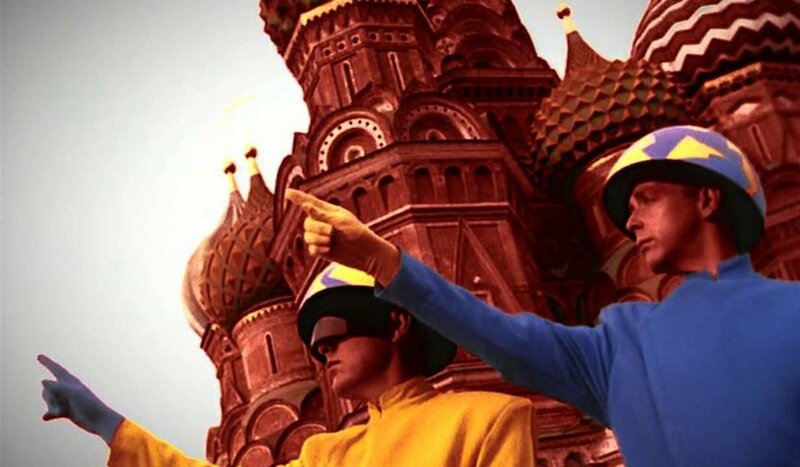 Pet Shop Boys – Their 10 most addictive songs! This was a fantastic song accompanied by a bright and colourful CGI video that came out during the peak of my music obsession years in the early 90s. I could not get enough of this song back then and I still cannot get enough of it now. It is probably my number one favourite of theirs. Fav lyric: You drift on to the strangest dreams of youthful follies and changing teams. Admit you’re wrong, oh no, not yet. Then you wake up and remember that you can’t forget. I love everything here! – the quiet hushed lower register vocals, the relaxed medium-paced tempo, the warm nostalgic lyrics… This came out in 1990 and it really sounds it. It definitely has this vibe of leaving the 80s behind and stepping into a new darker world of the 90s. This same feeling exists in other songs from this era too like Jealousy and DJ Culture. Fav lyric: We were never holding back or worried that time would come to an end. We were always hoping that, looking back you could always rely on a friend. This one has some interesting experimentation with a symphonic intro and outro for an otherwise fast-paced electronic track. Interesting lyrics too, which are sung in a sort of storytelling style that I really like. Fav lyric: I was faced with a choice at a difficult age. Would I write a book? Or should I take to the stage? But in the back of my head I heard distant feet, Che Guevara and Debussy to a disco beat. This classic 80s track wonderfully describes how it is like living in the suburbs, complete with dog barking noises and police car sirens. Fav lyric: Break the window by the town hall. Listen, a siren screams. There in the distance like a roll call of all the suburban dreams. I love this happy tune about enjoying life and having fun with the people around you. Set to a Latin American style beat, this one is bursting with optimism and… life, really. That’s the way life is! Fav lyric: So don’t search in the stars for signs of love. Look around your life, you’ll find enough. A dark Depeche Mode like tune, it tells the story of a somewhat dysfunctional couple in first person. With addictive synths and backing vocal Ooohs, this is a delicious little 80s track of theirs. Fav lyric: You took me to a restaurant off Broadway to tell me who you are. We never ever argue, we never calculate the currency we’ve spent. I love you, you pay my rent. I am a sucker for Eurodance music. There, I said it! But this is how it would sound if it were intelligent. Packed with witty lyrics and a high speed dance beat, this one is loads of fun! This is one of their most popular songs and it is actually a cover of a Village People number. But to be very honest, I prefer the PSB version. The video for this single was all CGI and colourful, similar to all the other videos from the ‘Very’ album. 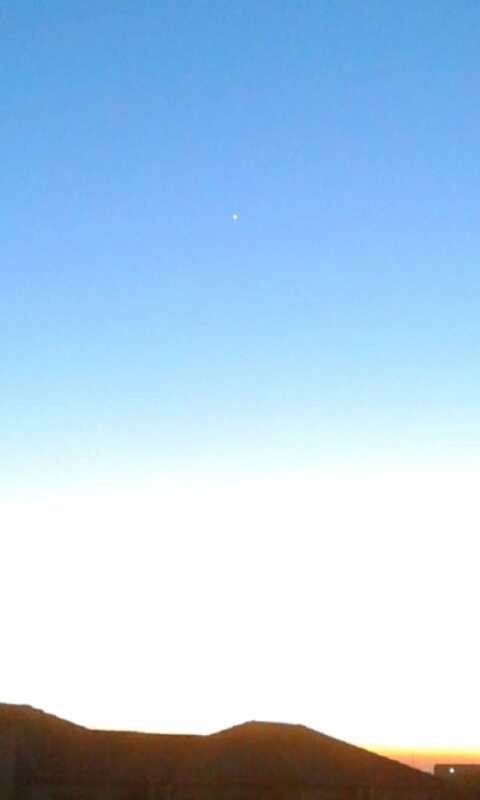 Fav lyric: There where the air is free, we’ll be what we want to be. Now if we make a stand, we’ll find our promised land. This was the very first hit single that still sends chills down my spine with that rush of synth in the intro and the wonderful lyrics that makes me want to visit London’s West End at some point in my life. Fav lyric: We’ve got no future, we’ve got no past. Here today, built to last. In every city, in every nation from Lake Geneva to the Finland station. This is actually the first PSB song that I ever heard, thanks to being exposed to the Grammy ’87 nominations. Opportunities is a very witty and practical song about making money. But there is a heavy nostalgia factor too for me over here. With great vocals and an exhilarating beat, this is definitely a classic! Fav lyric: You can tell I’m educated, I studied at the Sorbonne. Doctored in Mathematics, I could’ve been a don. I can program a computer, choose the perfect time. If you’ve got the inclination, I have got the crime. Sometime last year, thanks to my wife, I discovered this really cool local radio station that plays only old music (for us old people). Actually, this station plays a ton of 80s and 90s popular music… stuff from my teenage years, hence my affection for it. It is called Mix 93.8 FM and it broadcasts from Midrand. They play 60s and 70s music as well, but hardly anything from the present day. So I totally got into listening to this station during my work commute. And at least a handful of times, I was tempted to call in and make song requests. One or two were played, one was forgotten (or ignored) and another one was replaced with a more popular song choice. All said and done, this is radio after all. 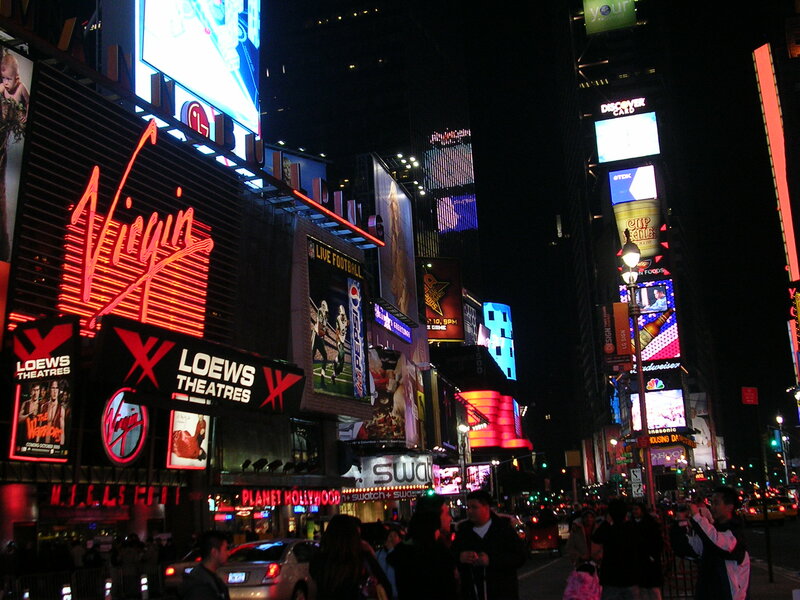 The popular song choices will always win compared to the more obscure fan favourites. I think I requested something fast-paced from U2 and dropped the song title ‘The Electric Co.’ as well. They ended up playing their standard station favourite ‘I Still Haven’t Found What I’m Looking For’ which isn’t fast-paced by any stretch of the imagination and not at all what I requested for! Still, I was happy that they played a good song from one of my all-time favourite bands. But would it hurt if they venture out a bit, away from the typical classic rock anthems that have been played 16 trillion times already? In other words, if I want to listen to R.E.M.’s ‘Disturbance at the Heron House’, my best bet is to dust off my CD copy of ‘Document’ rather than wait for it to be played on the radio. That said, every now and then it is refreshing to hear random songs played by a radio DJ. For instance, this morning Mix FM played Steve Miller Band’s ‘Rockin’ Me’ which I have to say I quite enjoyed listening to despite not caring much at all for Steve Miller Band’s music in general. But I hadn’t heard that particular song in several years and it was nice to listen to it. A personal music collection trumps everything but it is still nice to have a good radio station on every now and then. Ever since it was announced that Peter Jackson was going to bring ‘The Hobbit’ to life on the big screen, I had been waiting excitedly for it. I finally saw the first installment, ‘The Hobbit: An Unexpected Journey’ a couple of weeks ago. And the verdict is… Good but not as enjoyable as the Lord of the Rings movies. Let me explain why. I’ll start at the beginning. I got into the whole Tolkien fantasy world initially thanks to Led Zeppelin songs. Being a big fan of classic rock and Zeppelin in particular, I was intrigued by the fascinating, otherworldly lyrics in songs like ‘The Battle of Evermore’, ‘Stairway to Heaven’, ‘Misty Mountain Hop’ and ‘Ramble On’ among others. And then I picked up the book called ‘The Hobbit’. Initially, the peculiar style of storytelling seemed a bit childish for my taste (the funny names of the various dwarves didn’t make it any better) but I soon warmed up to it. At around the same time, the Lord of the Rings movies started getting released in theatres one by one. Having just read The Hobbit, it was easy to follow these movies as a continuation of the story and I absolutely loved them all. Sure, I had my preferences. ‘The Fellowship of the Ring’ was wonderful as a visual introduction to middle earth. Before that, middle earth had only existed in my imagination. ‘The Two Towers’ was great for its excellently done battle scenes. And ‘Return of the King’ was a grand finale, albeit way too long and dragging towards the end. But anyway, I loved the setting, the characters, the lines… everything! This was the first big fantasy epic that I could relate to, having not grown up on Star Wars. Also, the LoTR movies seemed a lot more real to me with a sort of historical/mythological flavour to them, as opposed to Star Wars which I always felt had way too many weird looking characters that I could never relate to. Call it personal bias or opinion, whatever. So my expectations were sky-high for ‘The Hobbit: An Unexpected Journey’. But it didn’t quite wow me like the earlier movies did. The perfect way to describe it can be encapsulated in this solitary, classic Bilbo line “… like butter scraped over too much bread”. Compared to the very detailed Lord of the Rings books, The Hobbit is actually not a difficult read. To stretch just one third of that book into a 3 hour long movie seemed a bit too much. And I could tell that I was losing interest pretty early due to the ambling pace of the first half. ‘Riddles in the dark’ with Gollum was one of the first truly interesting portions in the movie. And I did enjoy the Misty Mountains song that the dwarves sing in unison before setting foot on their adventure. But I did not care at all for that weird forest wizard, Radagast and felt that this unnecessary character introduction only ended up slowing down the plot. Not to mention, the pointless discussion between Gandalf and the other ‘elders’ of middle earth at Rivendell. My wife had the funniest observation here… in some of the scenes she said it looked like Gandalf and Galadriel were having an affair! That in itself should give you an indication of how much they have stretched out this movie beyond what was needed for a Part I of III. Nonetheless, it was still enjoyable overall because the original story is still close to my heart. And there is no doubt that I will ardently wait for and watch the next installment in this epic series. It was a nice Diwali this year. 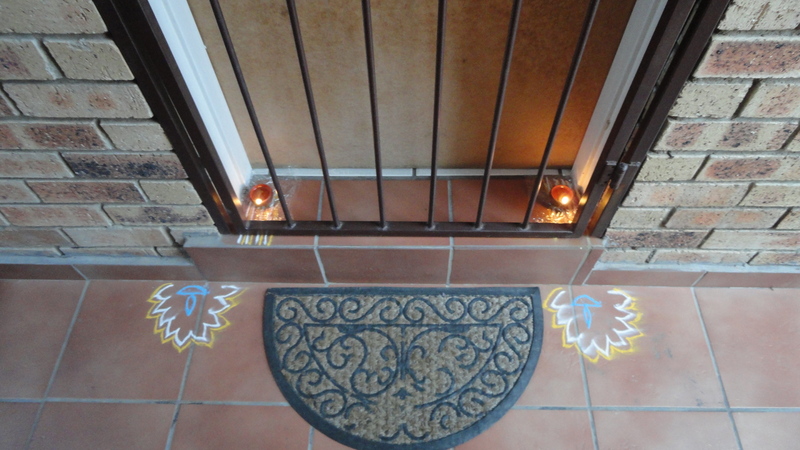 Last year we had beautified the apartment with diyas, rangoli and lights but generally spent it low-key. 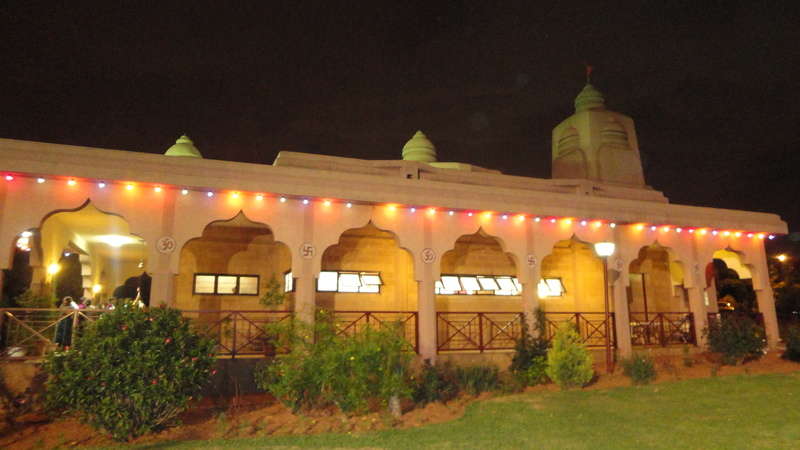 Later we found out that many people gather at Shree Radheshyam Mandir in Sandton and even light fireworks there! So this year we were determined not to miss it. Firstly, we had to go get firecrackers. At the annual Newtown Diwali festival that we attended at the beginning of the month, we had seen a flyer for a store in Lenasia selling fireworks. And since we hadn’t really seen Lenasia yet anyway, we decided to give it a try. So, on Saturday (which was coincidentally my birthday) we did the somewhat long-ish drive to Lenasia and went to this store called Milan’s. I don’t remember the last time I walked into a shop that was so filled to the brim with fireworks! It was a nice feeling, something I hadn’t experienced in maybe 15 years or more. As we started enquiring about crackers and bombs, we realized that it was a bit different here than in India. They did not understand what ‘flower pot’ or ‘anaar’ meant. Instead, we got something called ‘volcano’ which looked similar but much bigger. I noticed that these were Chinese fireworks, not the ones from Sivakasi, Tamilnadu that we used to get regularly in India. 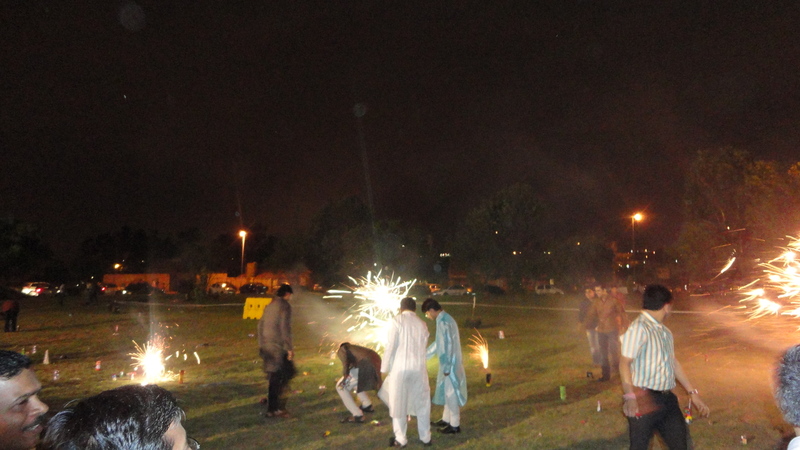 Anyway, we got all the basics – sparklers, flower pots, a few loose bombs etc. Didn’t want to go overboard… just wanted a handful to get that festive feeling. 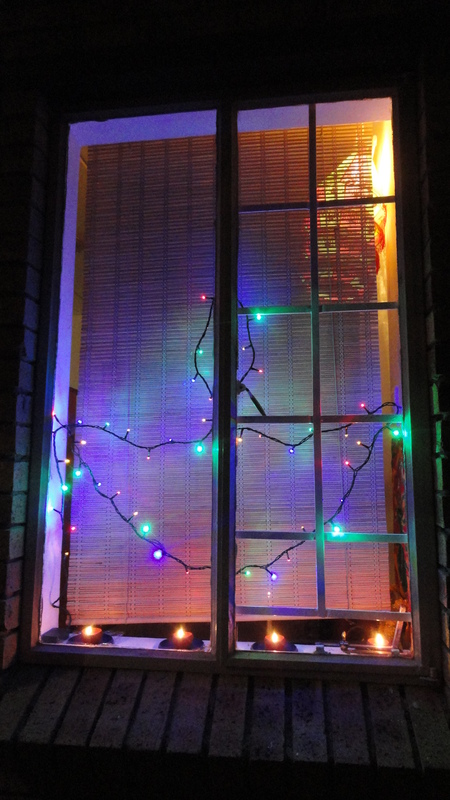 The evening before Diwali (called ‘chhoti diwali’ in India) we put our string of led lights up. I tried my best to tape it on to a window in the form of a diya. Diwali day itself was a normal workday (no holiday here despite the significantly large Indian population!) so we quickly wished all our loved ones back home before heading to work. Late afternoon/evening some friends dropped by and we exchanged sweets. Got that nice feeling one gets in India when neighbourhood friends and relatives visit over a festive occasion. Then we made a few calls to our parents and siblings, wishing them once again. Before we knew it, it was time to get dressed and head out for the temple festivities. There were a lot of people at the temple and it was interesting to see everybody dressed to the nines in their best Diwali garb. 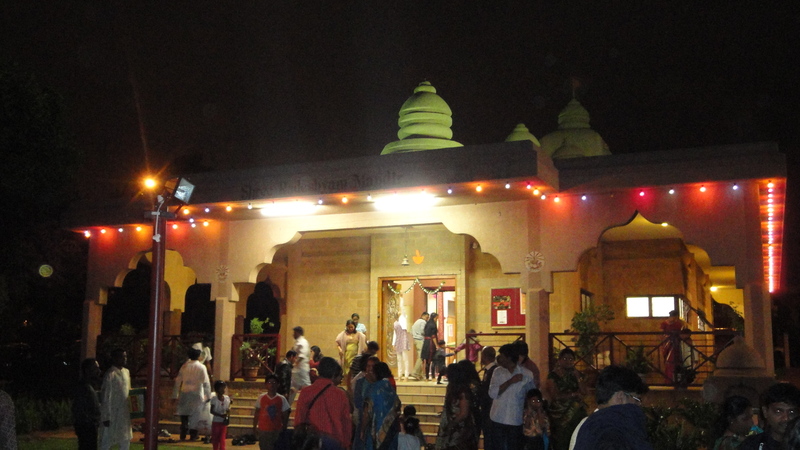 The Lakshmi Puja was supposed to start at 7 pm and the fireworks were scheduled to start at 8:30. We reached there on time, luckily found parking amidst the sea of cars and said our prayers in the busy hall. As we sat there doing a bit of people-watching, some had already started setting off crackers in the lawn and it was only 7:30 or so. 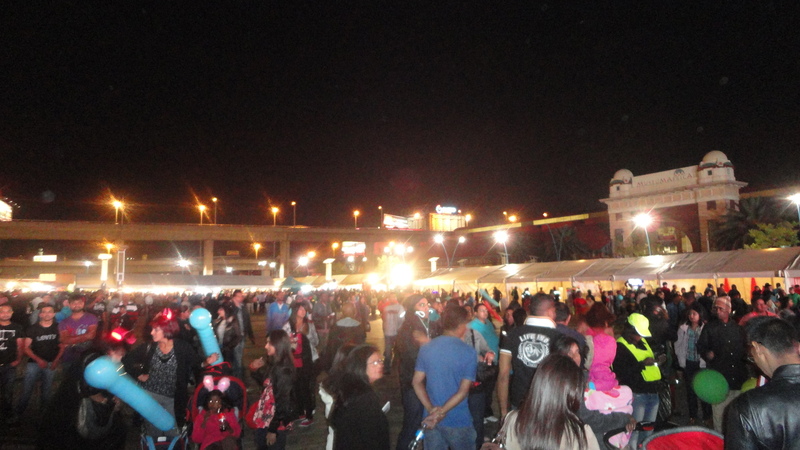 Clearly, most people were there for the fireworks! To our pleasant surprise we also saw a couple who we knew and started chatting with them. Soon, we too headed into the large lawn to join in the celebrations. 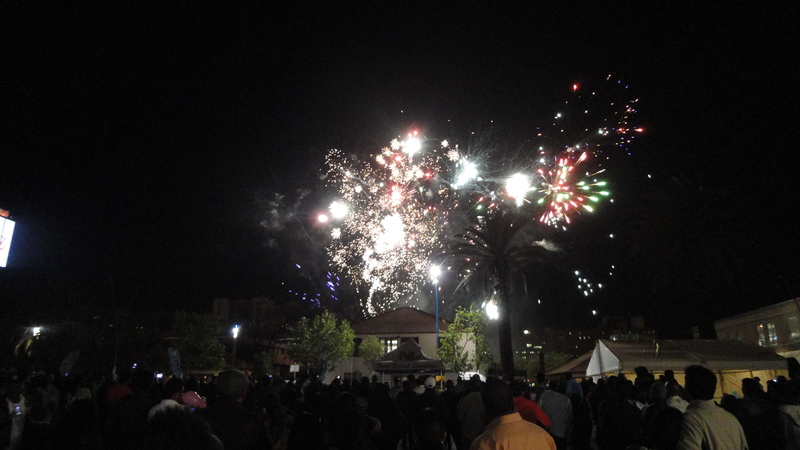 It was just like in India… people lighting fireworks all over the place, within hardly a few feet from each other. Of course, this being a foreign country, there were plenty of fire extinguishers strategically placed on the lawn should something untoward happen. There was originally a tape running across the lawn demarcating the safe viewing zone with the live firework zone. But Indians will be Indians, so that rule was soon broken and people were all over the place. It was also amusing to see a black guy who had come with his Indian buddies who tried their best to explain to him in detail about how people go nuts over these fireworks back home. All in all, it was so great to relive this experience after more than a decade! People were generally friendly too. Nothing like lighting your sparkler with the help of somebody else’s already lit sparkler – the perfect ice-breaker! It was a weeknight though, so we had to return home at a decent time. After dinner, we had our own little party on the front patio with friendly light-emitting sparklers. Didn’t risk any sound-producing bombs, though my curiosity eventually got the better of me and I simply had to try out a tiny little ‘dancing cracker’, which at most would have woken up an alley cat nearby. Overall, it turned out be a really fun evening and I was happy to see so many Indians celebrating in an alien country. Have you heard enough from me? 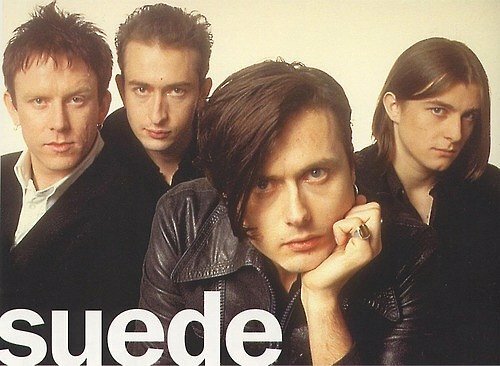 Suede – more 90s nostalgia! I was really into the whole Brit Pop scene in the 90’s but it was Oasis and Blur that captured my attention the most and I apparently missed out on the band that started it all. I did know a handful of Suede singles but they were limited to ‘Animal Nitrate’, ‘Trash’ and ‘Beautiful Ones’ pretty much… oh, and ‘The Wild Ones’ although I couldn’t really recall how the song went but vaguely remembered the video. Anyway, a few days back I suddenly felt like discovering more of their music and so downloaded their ‘Singles’ compilation from 2003. I was briefly considering buying their much-hailed self-titled debut with a cover of the androgynous (but quite obviously lesbian) kissing couple. 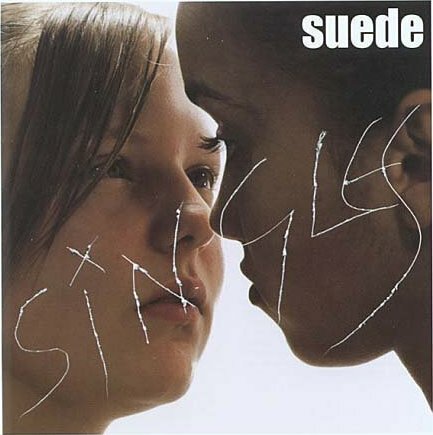 But no matter what the so-called purists say about how Greatest Hits compilations and Best Ofs don’t really add true value to your music collection, I decided that the ‘Singles’ disc will give me a good overall view of Suede. What if I got the 1993 debut and didn’t like half the album or something?! It is possible. It has happened before. I never could, for the life of me, decipher the most praised alternative album of all time, My Bloody Valentine’s ‘Loveless’. Maybe I wasn’t listening hard enough amidst all the guitar distortion and shoegaze noise. But I digress. 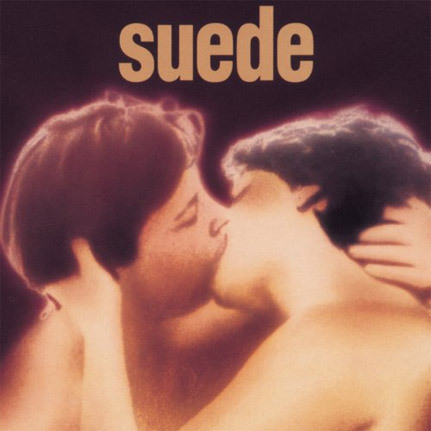 Suede’s ‘Singles’ is a pretty damn good collection of their work. (Don’t ask me why they’re so obsessed with lesbians… I do not know!) It neatly encompasses highlights from all their albums including the last one in 2002. I am not a big fan of the haphazard order though. I prefer listening to a chronologically arranged selection from the artist’s first album all the way to the last one. But at least this collection starts with their best songs from the 90s. From the sleazy sounding ‘Film Star’ to the cheerful ‘Positivity’, the melodious ‘Everything Will Flow’ to the catchy riffs of ‘Can’t Get Enough’ and ‘Electricity’, there’s a lot of variety here. It’s not all Bowie-inspired neo-glam rock. ‘Film Star’ will always remind me of Eddie Izzard’s 1997 stage show ‘Glorious’. That’s where I heard it first. I still have to warm up to some of the songs here, especially ones from the late 90s and early 00s. But overall, it is a great single disc representation of this band.